The KU School of Engineering's educational efforts are primarily located on the main KU campus. 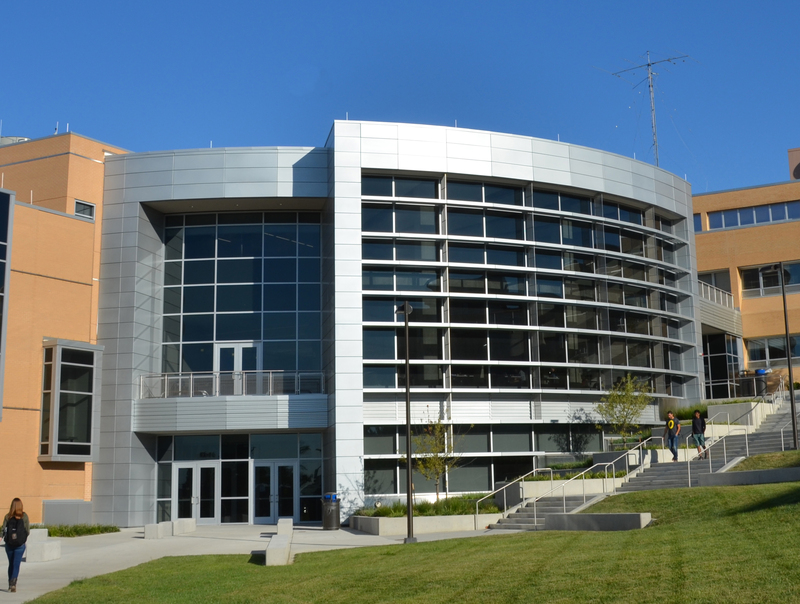 However, research centers and laboratories are found not only in the Engineering Complex but also at other facilities on and off the KU Lawrence campus. More and more students are choosing to earn their engineering and computing degrees at the University of Kansas. KU Engineering’s undergraduate enrollment is expected to grow by 60 percent as established in the school’s Building on Excellence Initiative. To meet increasing demand, the School of Engineering must add 60 percent to the school’s footprint. The KU Engineering Expansion Project offers premier work and study space that will carry the school to greater heights. These areas will let students work with faculty to expand their knowledge, explore their creativity and develop their potential. The West Campus site also will become home to a revolutionary structural testing facility, with a 40-foot strong wall and two 20-ton cranes. “The designs incorporate features students have said they want and need – student organization offices, more group study space and enhanced computing and library resources." Engineering Career Center The structure’s grand entry will showcase engineering at KU. A distinctive atrium will greet prospective students with displays and study areas bathed in natural light. The expansion also will renovate portions of Spahr Engineering Library, opening the floor plan while also providing small group study rooms, space for student organizations to meet and a workroom to tackle a variety of projects. This multi-use area will become a crossroads for engineering and computing students – a place to connect, cultivate and create – and a small café will fuel students in the middle of something big. Additional classroom space in the new Main Campus Building helps ensure students spend more time learning and developing ideas. Unlike a traditional tiered lecture hall, these “active” or “flipped” classrooms have flat floors, white boards, tables for groups of students to interact collaboratively and a variety of novel audio-visual devices to ensure students can view and share ideas and information from every point in the room, regardless of class size. The KU School of Engineering is nearing completion on a major expansion (pdf) that will increase the size of the student body, research endeavors and opportunities for students and faculty. Phase 2, which will consist largely of student-oriented spaces is expected to open for the start of the Fall 2015 semester. Phase I, the Measurement, Materials & Sustainable Environment Center (M2SEC) research facility, was formally in 2012. Visitor parking is readily available near the School of Engineering Complex in the Allen Fieldhouse Parking Garage (pdf). A short walk north puts you in touch with world-class research and outstanding teaching in engineering and computer science. The School of Engineering has several mediated rooms in Eaton Hall and Learned Hall that, when not in use for official university business, can be reserved for use by School of Engineering student organizations, or school faculty and staff for school related activities. Student organizations should fill out and submit the Room Reservation Request form to reserve space managed by the Dean's Office.